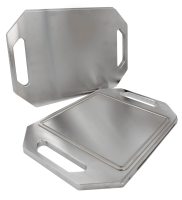 Compression Set device made of Stainless Steel with adjustable distance between the plates between 0 and 20 mm. Compression set testing device compliant with ISO 815, ISO 1856, ASTM D395, DIN 53 517 standards. 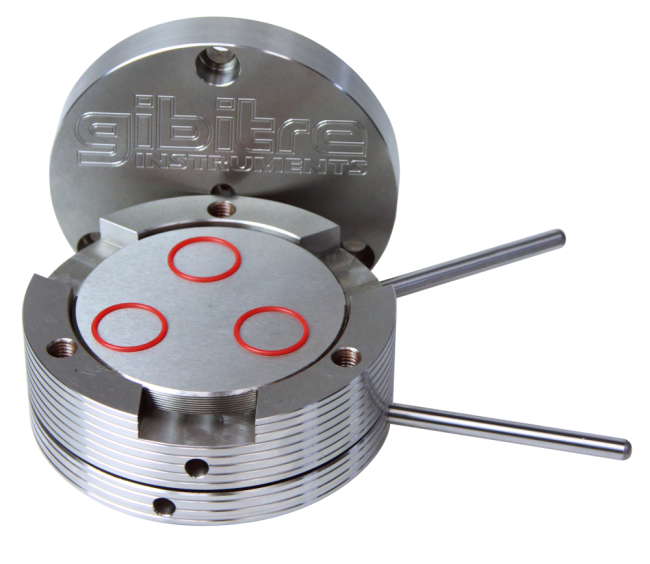 The device is entirely made of stainless steel, has a usable surface with a diameter of 100 mm and allows adjustment of the distance between the test surfaces between 0 and 20 mm. 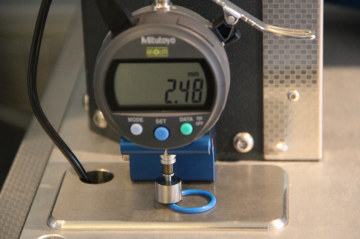 The distance adjustment is carried out using a standard thickness meter (optional). 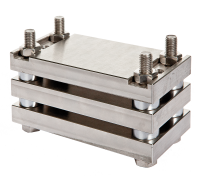 The instrument is optimal for the execution of tests on finished articles because the deformation to be applied to the samples can be set according to its real thickness. The construction methods of the instrument guarantee the perfect parallelism between the test surfaces (flatness error less than 0.01mm). 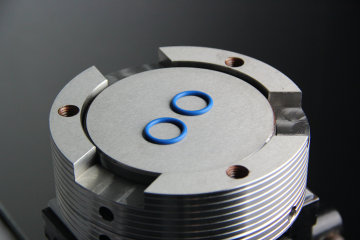 This feature makes the instrument suitable for testing on O-rings or small-size finished articles. In any case, the instrument can also be used for tests on standard specimens. You device is ready! Inserted it in the oven for the required time. After aging in the oven, you only need to remove the top and measure the final thickness of the specimens. 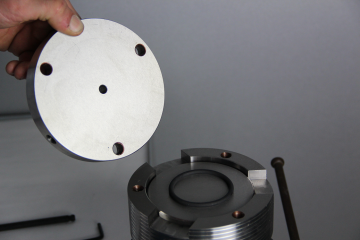 NOTE: further tests on pieces with the same thickness don't require any additional adjustment. 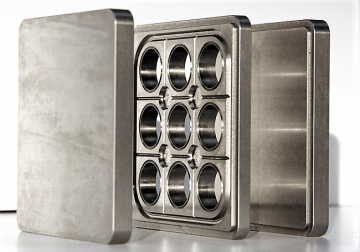 Moulds for preparing samples in compliance with standards.